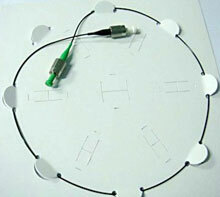 DPM Photonics line of Polarization Maintaining (PM) fiber patchcords provide great quality at a very competitive price. 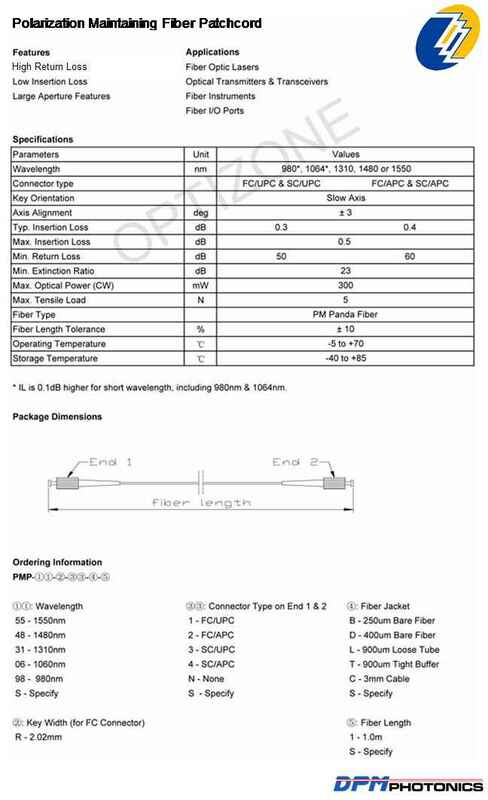 A number of center-operation wavelengths are offered (980 nm, 1064 nm, 1310 nm, 1480 nm and 1550 nm) and fiber length can be varied from the 1 meter standard value. Patchcords can be readily provided for custom specialty fibers or unique center wavelengths; please inquire if a standard patchcord does not meet your needs.